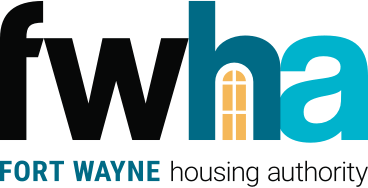 The mission of the Fort Wayne Housing Authority is to revitalize our city by building and developing safe, quality, affordable housing options, while providing programs to foster community, alleviate poverty and encourage long-term economic self-sufficiency. We own and manage over 800 units of conventional housing, administer and manage over 3,000 vouchers, and help provide homes to over 3,500 families and nearly 9,000 family members. As a friend of the Fort Wayne community, our team of nearly 50 housing, maintenance and social service professionals aim to create partnerships to offer resources that will empower our residents and enhance their quality of life. We are proud to be a founding member of the newly formed National Housing and Education Task Force, through which we will have access to resources that ensure every child living in our communities can participate in educational enrichment programs designed to strengthen their reading skills. FWHA was ranked as a High Performer, an honor designated by the U.S. Department of Housing and Urban Development, and our programs consistently receive national recognition. Each day, our entire team remains committed to growing and developing affordable housing throughout the city. Whether we’re partnering with city leaders to develop strategies for addressing affordable housing needs or working with local agencies to identify resources to help the most vulnerable, FWHA collaborates with individuals and organizations dedicated to helping disadvantaged families. FWHA takes pride in working with over 50 local businesses throughout Fort Wayne. We strive to become an invaluable and long-lasting community partner with public and private entities to assist in the City of Fort Wayne’s efforts to restore community pride and property values through strategic revitalization and investment plans that develop, grow and sustain affordable housing. Investing in our properties not only benefits the Fort Wayne community, but also our residents. We look forward to continuing to serve and deliver quality housing and services to our residents and participants, and helping them thrive in the Fort Wayne community.